Almost £250 million is to be spent by the UK government on the development of batteries for electric vehicles over the next four years should the Conservatives be returned to Parliament in June. Business secretary Greg Clark announced the funding before the beginning of purdah on Friday [21 April] as part of the Industrial Strategy Challenge Fund (ISCF), which will commit over £1 billion to research and innovation in specific areas identified in the government’s Industrial Strategy. One such area is batteries for clean and flexible energy storage, which will receive £246 million to help UK businesses tap into the opportunities presented by the global transition to a low carbon economy. According to a statement from the Department of Business, Energy and Industrial Strategy (BEIS) released late last week, the funding will “ensure the UK leads the world in the design, development and manufacture of batteries for the electrification of vehicles”. Innovate UK, which will be responsible for deploying the funds, has already identified a first wave of £10 million worth of projects across the entire ISCF starting in 2017 to 2018. Thirty-five projects have been selected for funding however the full list of companies and project allocations will not be released until after the June 8 general election. 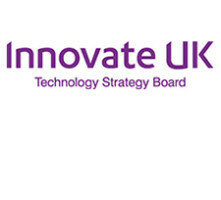 Innovate UK also revealed that the first investments will be delivered across 73 different collaboration partners across the country which have already worked with the body previously. “The ISCF will deliver the science that business needs. By supporting business-led innovation, the industrial strategy will accelerate business growth, boost productivity and create high-skilled jobs.